Update — Does New Alabama Law Protect Children At School Bus Stops? Reckless drivers and school bus safety. In an earlier post I discussed a new Alabama law aimed at protecting children around school bus stops. The new law allows Alabama school buses to have cameras. The cameras will photograph reckless drivers who illegally pass a stopped school bus. Then, these drivers will receive a $300 fine. My prior post discusses facts related to the needless injury of children at school bus stops. While I was not aware of any Alabama studies when I wrote my prior post, both North Carolina and Texas had studied the danger. According to the North Carolina study, each day over 3,000 cars in that state illegally pass a school bus while it is stopped to pick up children. A major news outlet has also studied the issue and estimated American drivers illegally pass a stopped school bus more than 13 Million times a year. Do some cars illegally pass stopped buses because the driver is distracted? Certainly. Do other cars illegally pass stopped buses because the driver recklessly or impatiently chooses to disregard the danger? Certainly. Either way, this tremendously reckless conduct puts our children at needless risk of personal injury or death every day. In my earlier post I asked whether the new law would protect children at school bus stops. Since that post, one Alabama school system has begun to implement school bus cameras and fines. An Al.com article discusses these efforts to begin implementing Alabama’s law. That article titled, Pass a Mobile school bus, get a $300 fine — and a private camera company benefits, discusses these efforts. The article raises three interesting questions. 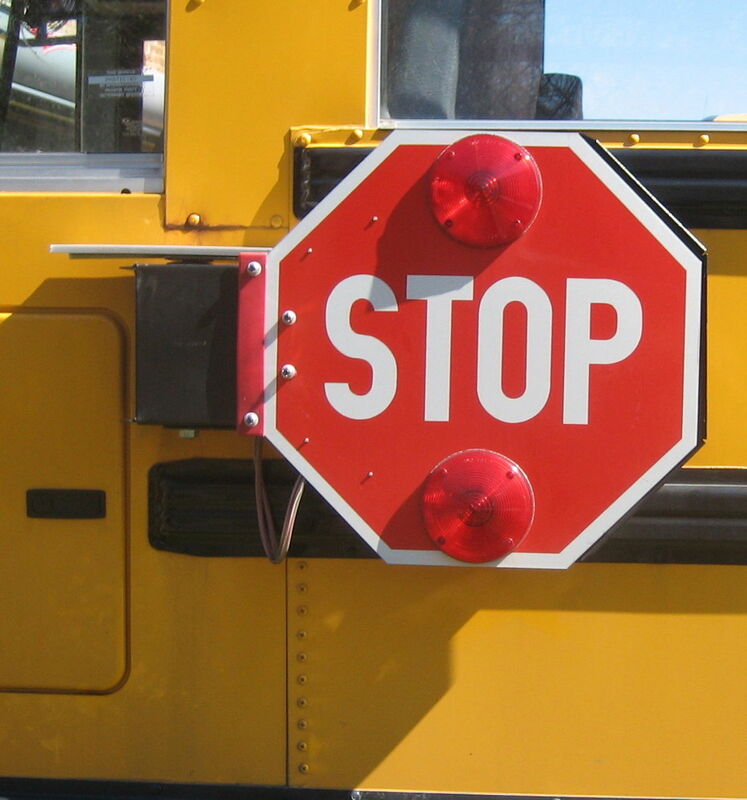 Does Alabama have a problem with reckless drivers illegally passing stopped school buses? North Carolina officials. Texas officials. A major news outlet. All have reported reckless driver behavior around school buses stopped for children. What about Alabama? According to one state legislator, the subject of drivers illegally running bus stop signs is a recurring subject among school bus drivers. A single-day survey of Alabama bus drivers earlier this year also revealed the scope of this dangerous problem. 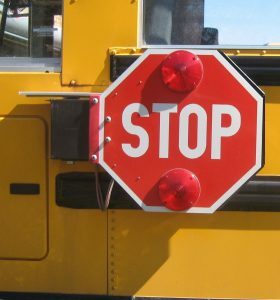 Alabama school bus drivers reported 1,505 incidents where drivers ran their bus-mounted stop signs. That’s 1,505 dangerous violations in one day. An Alabama state education official called the problem “an epidemic.” Where a safety problem like this exists, we should absolutely take steps to protect people. That’s especially true where the danger involves children. Should private contractors enforce the law? In the article about implementing bus cameras, the issue of private contractors was significant. Many of the commenters agreed. According to the article, a private contractor profits significantly from installing the cameras as well as issuing the citations. Should a private company profit by implementing and enforcing the law? I always have concerns with private contractors performing traditional police or school functions. I think this issue deserves much discussion. Is the $300 fine adequate punishment? But, just a $300 fine for a violation that puts kids lives at risk – that’s far too little penalty. Our law firm is committed to reducing automobile accidents on our roads and highways. If the Alabama Legislature is really serious about reducing reckless behaviors endangering our children, it will provide serious penalties to deter those bad behaviors. When a school bus stops for children, it has a clear stop sign all drivers can see. So, passing a stopped bus while it loads or unloads children is not an issue of simple negligence. It’s much worse. A driver who does this is either (1) so distracted that he or she is completely unaware of their surroundings; or, (2) knows the risk but chooses recklessly to disregard it. The potential risks of a severe personal injury or wrongful death to a child are so great, the punishment absolutely should be greater. We should act to reduce reckless driving behavior that risks lives. At our firm, we seen many families shattered by the injury or loss of a loved one. We are committed to advocating for our clients. We are also committed to advocating for safety measures that reduce or prevent future injuries.